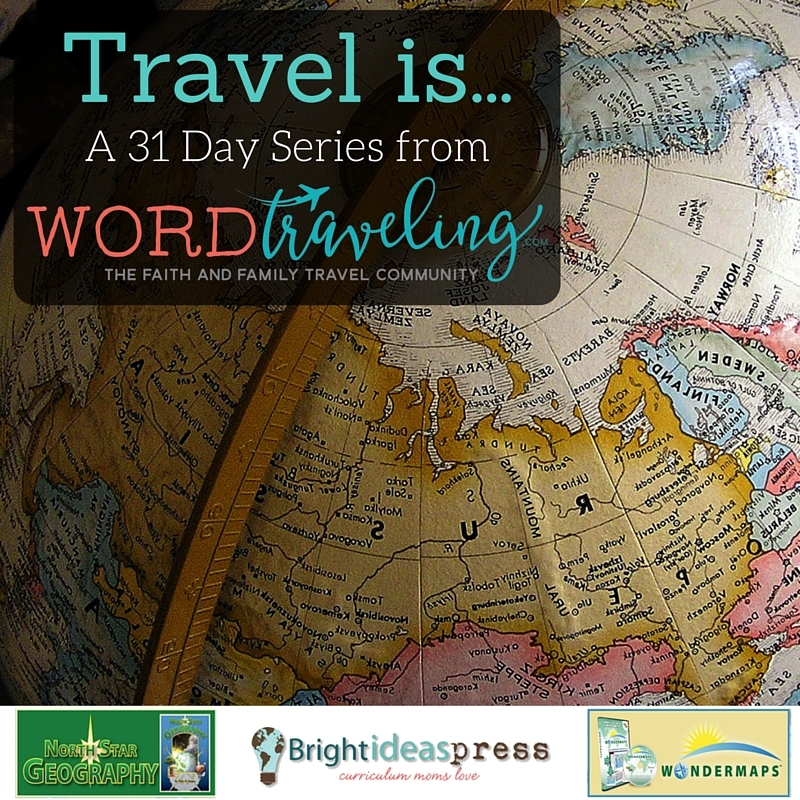 Welcome to Day #12 of our Travel is… series! Travel is a beautiful way to experience the world with your family and to build your relationships and increase your knowledge about culture, geography and history. For my family travel is all those other things and more, but it is also respite. We are a special needs family. My younger daughter has special needs and I often write about that on my blog Thrifty Momma’s Tips on travel, tech and health. My older daughter also has anxiety disorder and recently has added a new diagnosis, a physical disease that I am not yet ready to talk about. I myself have Crohn’s Disease. Our life is filled with appointments, medicines, therapies and assessments. It is grueling and draining but sometimes also very rewarding. We adopted both of our beautiful girls when they were babies. One was a very healthy 6 week old baby girl and the other had overcome big health care hurdles to find her way to us. She was prenatally exposed to alcohol and drugs and she withdrew in the hospital and was weaned off drugs in a specialized foster care environment before she came to us, her forever parents, in her forever home. She hit milestone after milestone but was slow to walk and then at about 18 months she began to have significant mini meltdowns and then bigger meltdowns and upon closer investigation we realized she had sensory issues that were profound. We investigated whether she had autism or bipolar disorder or….and finally she was diagnosed with an alphabet soup of letters – SPD – sensory processing disorder with FASD, fetal alcohol spectrum disorder and ADHD attention deficit hyperactivity disorder. She lacked impulse control and she was aggressive at times and she was also very hard to parent. We were on alert 24/7 with this child who slept poorly and lacked any regard for safety, was daring and could not be left without supervision ever. She hit, and raged and we were exhausted and drained all the time. We were also financially strapped. I could not work because she required 100 % of me. Until she was four, we often changed all of our plans because she could not manage social affairs of any sort. We had always loved to travel BUT it seemed impossible. In fact it seemed like it would never happen again. How could we go on an airplane with a child who had these loud screaming meltdowns? How could we visit Jamaica if she was always running away, lacking any impulse control? Surely she would be lost. She would run off with a stranger. She would attach to the mail carrier. She had no understanding of fear. We were almost resigned to never ever travelling again. We were parents and we were fortunate to be parents so travel was simply something that we would have to sacrifice. Or was it? As my daughter began to approach 4 years old, she started to prepare for school. We had her in a private preschool for socialization and she was doing well. I wrote and I started a web site when she was at preschool for the two hours a day. I published a couple of magazine articles that were feature length and gave me confidence to push through writing and parenting with a bit less gravity. I Dared to Start Dreaming of Travel. What would it take to travel with this one? Special needs children travel all the time, don’t they? Surely accommodations are made somehow. I began reading about travel with special needs children and I began to ask what we could do to help with the sensory issues when travelling? And then we took a road trip, just a small one as a family to Niagara Falls waterpark. We followed that with another small road trip and another and then finally we felt we had hit a groove and accomplished something. We moved on, and we planned to travel to Disney. It would be a big awesome adventure and we had a special stroller we would take and we had extra gadgets to keep her close and monitored. It was a great trip even if I had one of the biggest near heart attack experiences of family travel ever when she vanished for five minutes at Disney World in Florida. After a successful trip to Florida we traveled again – this time to Jamaica. We did some enjoyable excursions together and we used the kid’s club and the kid enjoyed it. Nobody noticed anything much that was different about our girls at kid’s club. In fact they both flourished when we travelled. Outside of school, and bullies and unrealistic demands they seemed lighter. We all did. They relaxed and enjoyed other kids and we had a few afternoons of peace and calm and adult time. I started to realize the importance of travel as a family and I also began to realize that even though we could rarely find anyone back home capable or willing to watch our kids because of my youngest daughter’s special needs and impulsivity, in a different country when travelling, we found respite. I began to joke quietly that we had to travel to Jamaica, Florida, Ohio, Mexico, Dominican Republic or a cruise ship to find a babysitter. The kids fit in and enjoyed being on every one of our trips. They grew to be great travellers there and they flourished. Then came respite in Mexico, one of my favorite experiences ever. The Mexican ladies working in the kid’s club praised my oldest for teaching everyone French and my youngest belted baseballs down the beach like nobody’s business as I watched her playing during one of the kid’s scheduled activities. As a special needs parent I do a lot of advocating for services and I find that Canada often falls short on the real supports, the ones people need to make their lives easier. The things we need to keep our families together so we don’t become statistics. I start to wonder if respite is a fluid concept. Maybe we are simply thinking about it, or framing it wrong. Maybe respite looks like this: a child being accepted for who she is in a different country for 2 or 3 weeks every year as her parents learn to breathe again outside of doctor’s appointments and school assessments and arguing for services. 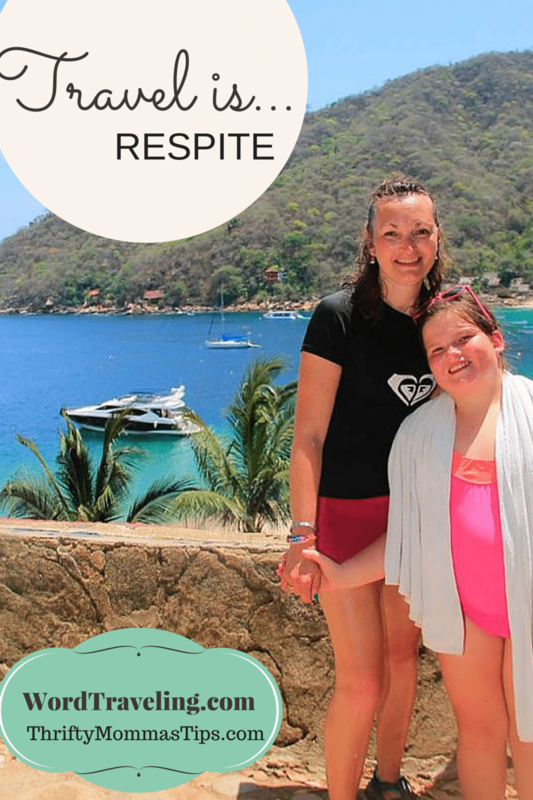 What if travel is respite? What if respite is hearing your daughter be called FISH because she moves like a fish in water? What if it’s hearing your oldest being dubbed teacher because she is bringing French to the other kids and adults? What if respite is kid’s club? What if it’s hearing a ten-year-old boy blurt: “Whoa that little girl can hit!” as you watch her drive a baseball down the beach and then she slides into imaginary home. Paula Schuck is an adoption advocate and a social media consultant who loves traveling and has been published in many Canadian newspapers and magazines. She never knows where her next trip will take her.